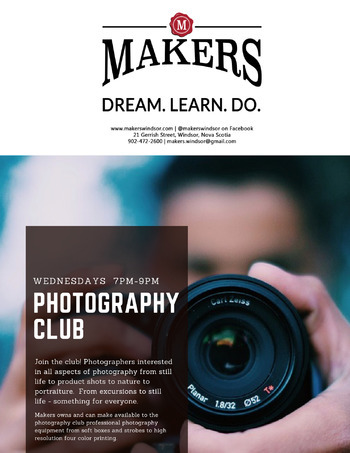 Come and join the photography club! All levels of equipment, experience and expertise welcome. Free for members, Day Pass for non-members.